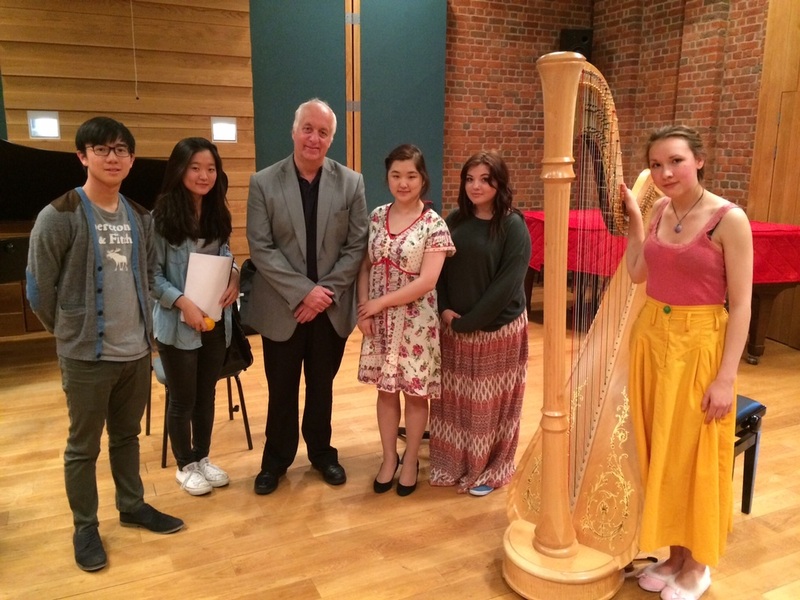 Composer Paul Patterson returned to The Purcell School this week to work with prize-winning harpist Juliana Myslov and a string quartet on his new Fantasia for harp. The pupils then performed the new piece at a lunchtime concert. The work will receive its official première at the World Harp Congress in Sydney later this summer, with Juliana as soloist.